My name is Gustavo Reyna. As mayor pro tem for the city of Lafayette for the last 5 years, I have contributed significant vision and leadership that has led to social progress and prosperity. I would like to extend that vision to all of Boulder county. I promote an affordable, healthy, inclusive and resilient community. I believe in our right to equal justice, protection; and the right to a safe, healthy and sustainable environment for all. 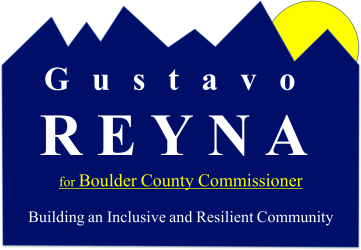 As a leader and community member, I have promoted an environment of cooperation, reaching out and building bridges among the private sector, government and non-profit organizations that serve Boulder County. I bring together a diverse set of voices who can contribute their ideas, insights and solutions to community issues, such as human rights, early childhood education, public health, youth programing and environmental stewardship, while keeping focused on the diversity, outdoor recreation, art and culture at the heart of our county’s social fabric. I was born in Guatemala, I am an immigrant, a husband, a father, a youth leader and a committed member of the community. Education is at the heart of my success and my commitment to serve. I believe that education is the single most important factor that can lead our community to succeed. 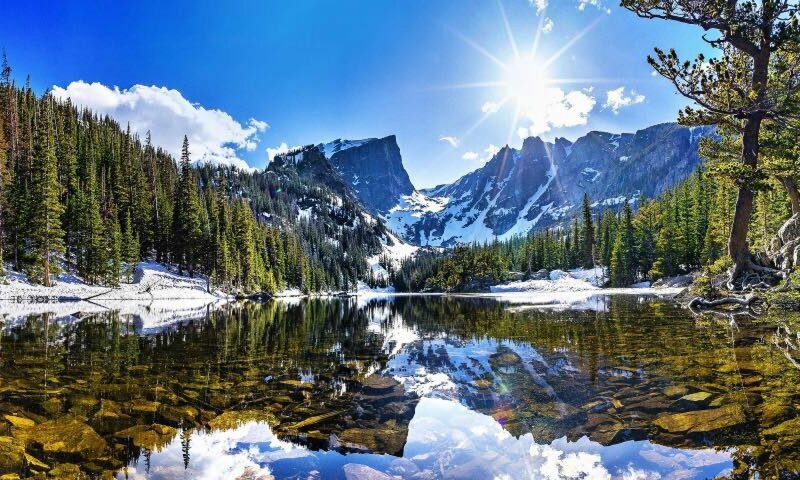 I received an undergraduate degree in Communications from the University of Maryland and a graduate degree in Information Systems from the University of Denver, which enabled me to have a successful career in international marketing. Leading to my current position with Intel, managing the development of Internet of Things solutions that power smart cities, smart transportation, smart agriculture and many other leading-edge solutions. I listen and collaborate in resolving the challenges that we face as a community, making decisions based on the merit of the ideas, rather than ideology or political biases. My agenda is to serve the people of Boulder County, creating and implementing pragmatic solutions that address what people care about. Let’s work together and build the County where we ALL belong!